Since January 18, Wipro has outperformed the market by gaining 14 per cent, after its board recommended issue of bonus shares, as compared to a 1 per cent decline in the S&P BSE Sensex. Shares of Wipro hit 19-year high of Rs 383.35 apiece, up 1 per cent on the BSE, after the company fixed March 7, 2019, as the record date to determine eligible shareholders entitled to receive the bonus equity shares. The stock of IT services firm was trading at its highest level since February 24, 2000, on the BSE. The board of directors of Wipro at their meeting held on January 18, had recommended issue of bonus equity shares in the proportion of 1:3 (one equity share for every three equity shares held). Since January 18, Wipro has outperformed the market by gaining 14 per cent as compared to a 1 per cent decline in the S&P BSE Sensex. Meanwhile, in December 2018 quarter (Q3FY19), Wipro reported revenue growth of 2.4 per cent quarter-on-quarter (QoQ) in constant currency (CC) terms, ahead of analysts expectation of less than 2 per cent. Ebitda (earnings before interest, taxation, depreciation and ammortisation) margin at 22.3 per cent in Q3FY19 was the best margin performance since Q4FY15. Analysts at Elara Capital continue to expect a rerating as Wipro has already narrowed the margin and growth gap with peers. Expecting the margin improvement to be sustainable and factoring better return metrics. “We expect further improvement is possible as Q4FY19 is likely to see the bottoming out for HealthPlan Services (HPS) as November-2018 was the first enrollment after the removal of the tax penalty associated with the individual mandate as part of the Affordable Care Act (ACA). Wipro is working on repositioning the HPS platform and there is also hope for new legislation over 2019 to replace the ACA,” the brokerage firm said in the quarterly update. 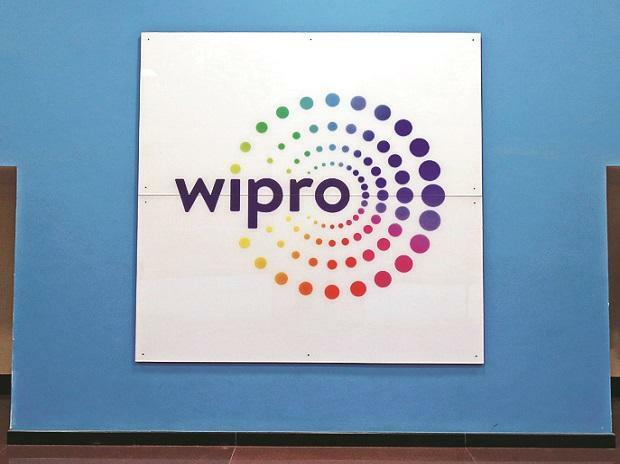 “Wipro reported a strong quarter, especially on the margin front. Further, with continued strength in BFSI and digital, a healthy deal pipeline commentary and client-specific issues left behind, we remain positive on Wipro’s growth trajectory. This, coupled with the sustainability of higher margins in coming years would further boost profitability,” ICICI Securities said in result update. The stock, however, trading above brokerage firm 12-month target price of Rs 375 per share. At 11:10 am, Wipro was trading 0.5 per cent higher at Rs 381 on the BSE, as compared to a 0.26 per cent rise in the S&P BSE Sensex. A combined 1.79 million equity shares changed hands on the counter on the NSE and BSE so far.